Blue Ocean is a member of a Group of family-owned companies specializing in rice, seafood and timber, in which rice is our core business. Our humble beginnings can be traced to an industrious farmer named Huynh Long who built a small rice mill in the fertile fields of the Mekong Delta Region. In the span of two decades, Blue Ocean has grown into an international company with local expertise and global connections. Our rich heritage and years of expertise in rice production are present in each step we take to produce the finest grade rice, from seed selection, planting and harvesting, to processing and packaging. 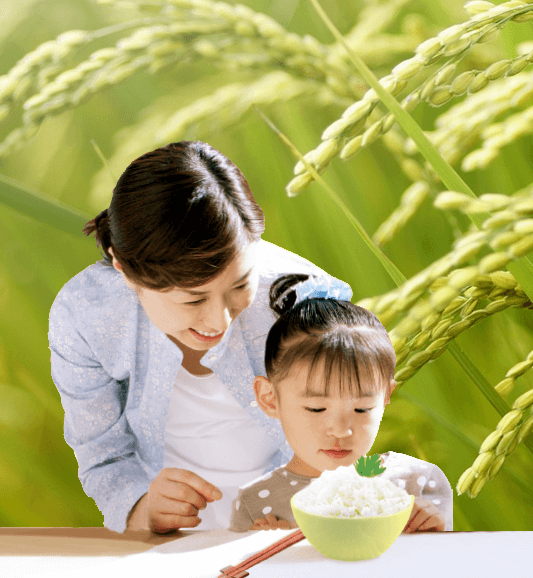 We ensure that great care is given to our rice as it travels from our plant to your dining table. We go one step further by launching LOTUS Rice brand to the world market. Cultivated with care, passion and dedication in the best environment of the Mekong Delta and processed using modern processing lines and the most advanced color sortexed machine, LOTUS Rice represents the best, superior quality rice in Vietnam. deliver the Flavour of Vietnam to the world. Good rice for good life! We are inspired and motivated by our dedication to deliver excellence in everything that we do. We uphold and nurture integrity in both internal and external aspects of our business. We consistently deliver quality and value everyday. We use creativity and insight to create solutions that enable us to maximize opportunities and manage risks in creating positive change for the company. We combine our strengths and efforts with customers, suppliers, colleagues and community in order to reach the common goal of progress for all.